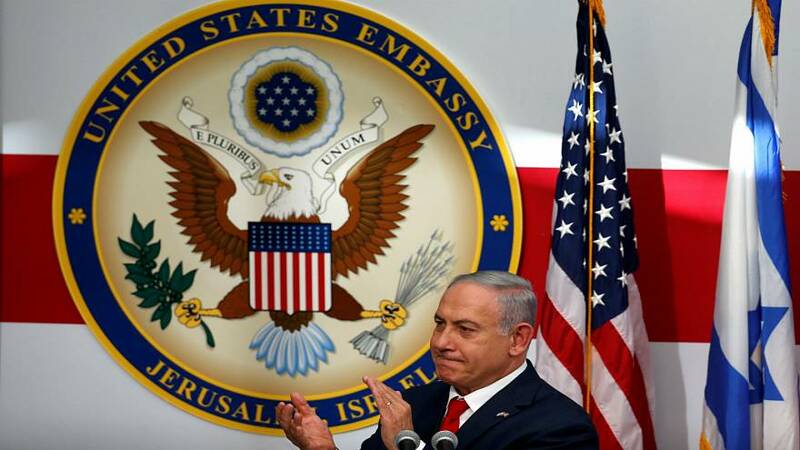 The opening of the US embassy in Jerusalem saw bloody clashes between Israeli troops and Palestinians on the Gaza border which killed dozens of Palestinians.. The opening ceremony was attended by President Trump's daughter Ivanka and her husband Jared Kushner both special advisers to the White House. And included a video recorded message from President Trump who said this day "had been a long time coming". The president stressed the United States will remain a great friend of Israel and that Washington is fully committed to peace. Trump's statement was echoed by Israeli Prime Minister Benjamin Netanyahu who said the opening of the US embassy was "a great day for peace." The Prime Minister also addressed a direct message to the president. "By recognising history," he said. "You have made history". And he added peace in the region must be based on truth as a peace based on lies will "crash on the rocks of Middle East reality". Meanwhile, at least 41 Palestinians died in the highest single-day death toll since a series of protests began at the border with Israel on March 30th. And the Palestine Liberation Organization has called a general strike across the West Bank and Gaza on Tuesday in response to the deaths of Gazans killed by Israeli troops at the border protest.